Have you ever wondered about whether or not there are any similarities present in ancient texts such as Genesis and even older writings such as the Sumerian King List? Well, the truth is there are numerous similarities among these ancient texts which make us think that stories present there could have originated from the same source. In fact, scholars have speculated for years about the similarities between the Sumerian King List and accounts present in Genesis. 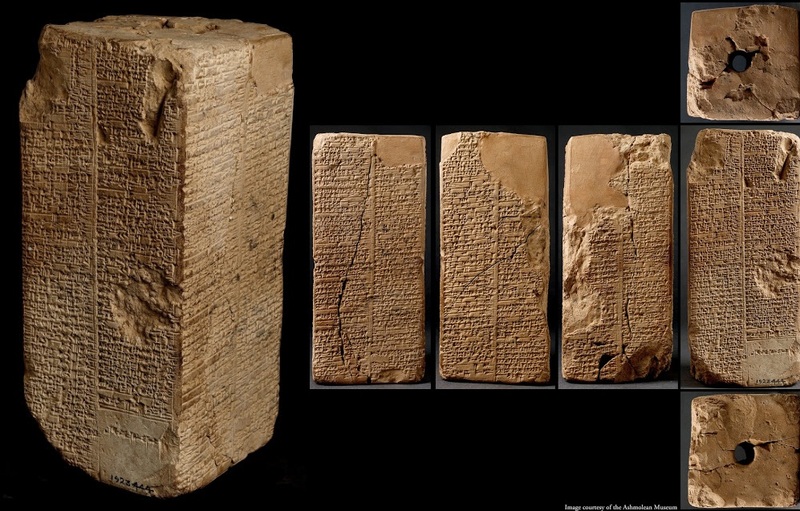 The Sumerian King List is one of the most important and misunderstood ancient texts ever discovered on Earth. Written in Ancient Sumerian, it lists numerous generations of Kings that ruled over Ancient Sumer, detailing their supposed length and location of kingships. Researchers have not been able to explain why the unique list blends mythical pre-dynastic rulers with historical rulers who are known to have existed. One of the most interesting details about the Sumerian King List is the fact that the earliest list, describes eight kings who ruled over Earth for a total of 241,200 years, since the original kingship had ‘descended from heaven’ all the way to the time of the ‘Great Flood’, which swept over the land and once more “the kingship was lowered from heaven” after the Flood. Interestingly, descriptions of similar longevous reigns are found in accounts written down in Genesis, and even in the Quran 29:14. The Sumerian king list offers a list of eight rulers who lived on Earth and reigned for long periods of the great flood, ranging from 18,600 to 43,200 years, a time period eerily similar to that found in Genesis V, where generations from Creation all the way to the Flood are recorded. What is even more interesting is the fact that between Adam and Noah there are eight generations just as there are eight kings between the beginning of Ancient Sumerian Kingship and the flood in the Sumerian King List. There are several mythological stories which often speak of immortal gods. In the eyes of human beings, an extremely long longevity could easily be interpreted as a sign of immortality. Adam, the first man is said to have lived 930 years, Seth, the second patriarch lived for around 912 years, Enosh lived 905 years. 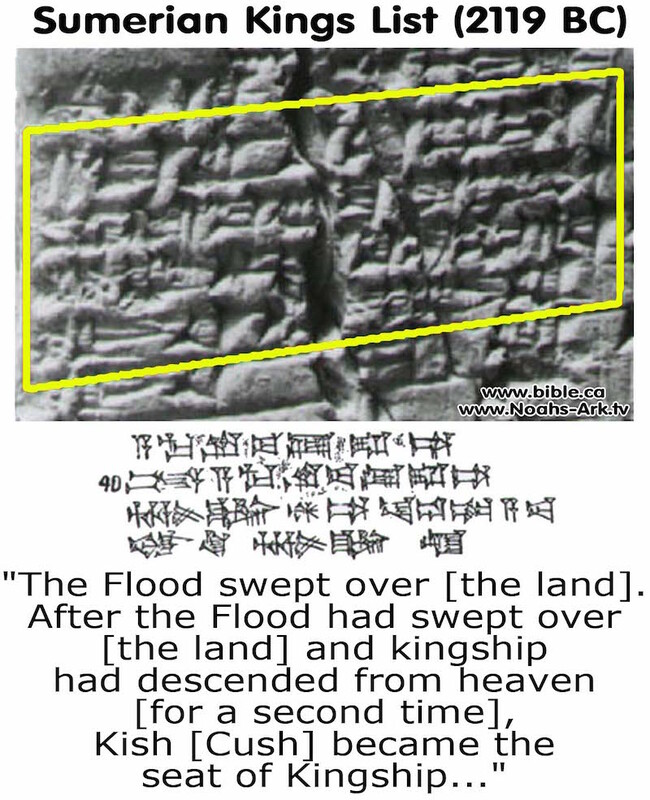 When the flood past, the Sumerian King List records rulers who reigned for much shorter periods of time, meaning that the Sumerian King List documents not only the great flood ( As many other ancient cultures), but it also displays the same pattern of decreasing longevity which is found in the Bible, suggesting that those who lived prior to the flood had longer lifespans than those who lived and ruled after the great flood. There are many questions mainstream scholars have not been able to answer in regards of the Sumerian King List, Genesis, and other ancient texts which display incredible similarities among them. Why did the ancient Sumerians decide to combine historical rulers with ‘mythical’ rulers in one single document? And how is it possible that before the flood, kings lived for hundreds and even thousands of years? Previous Article← The sunken city of the Caribbean: Forbidden archaeology?